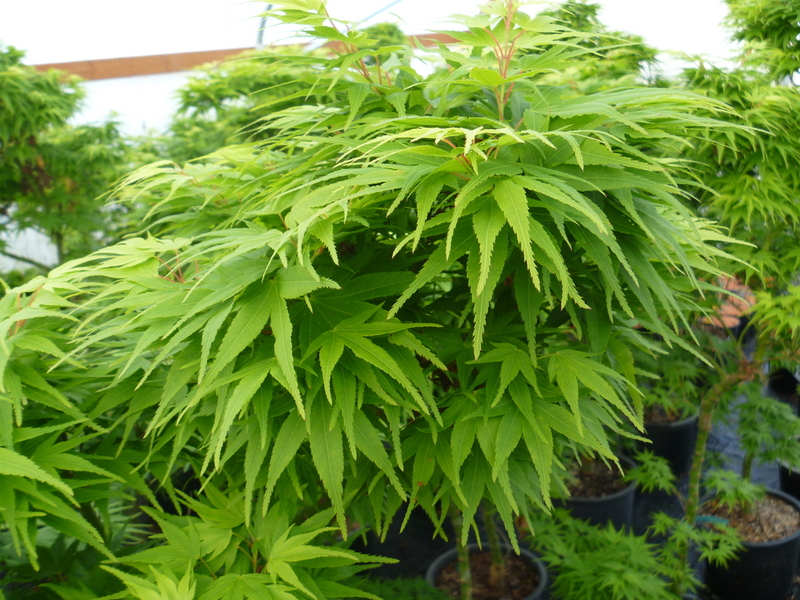 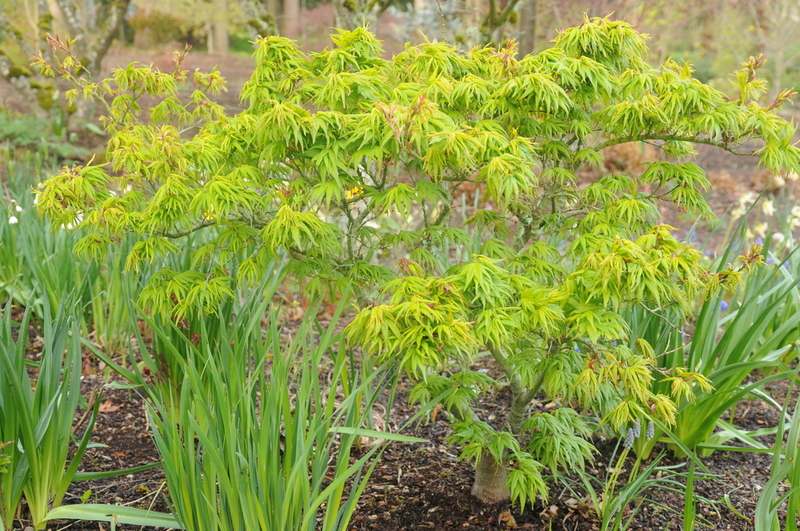 Thick stems, closely spaced buds, a naturally layered habit, and tolerance for pruning make this our top Japanese maple bonsai pick. Our plants are budded very low on the root stock to give an unobtrusive graft union. 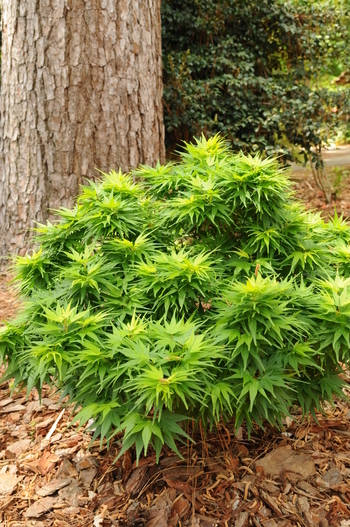 In the garden, it is a true dwarf, so it can be safely planted very close to a walkway or kept for years in a large container until just the perfect spot for it becomes obvious. 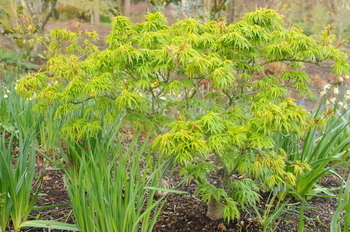 Exceptional; it belongs in even a modest collection of Japanese maple varieties for its distinctive dwarf and trouble-free character .